Our team of PHP developers at Adaptative, has an exhaustive experience of writing code and developing websites for our clients and customers from across the globe. Understanding your needs and working in a truly collaborative manner our team offers to provide best in class services and solutions. As a team of code and data enthusiasts following a developer-driven strategy, we work in partnership with our designers, creative associates, content creators, online marketers, optimizers and, most importantly with you in order to create a technological masterpiece in other words – well designed and well developed online portals that really work at their best! 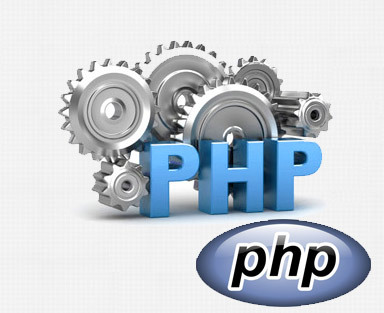 PHP being one of the most popular programming languages, it is most used for site and app development. It is more commonly known as a general purpose server side scripting language which when run on especially designed servers for creating dynamic web pages and apps give incredible results. It is much liked by the developers as well as the clients because of its being a uniquely fast, secure and reliable development option which offers tons of advantages compared to other similar options. Support for various databases such as MySQL, Oracle, Sybase, and so on. Compatibility with various servers like Apache, IIs, and the likes. It easily runs on diverse platforms like Windows, Linux, and so on. It works the best in developing eCommerce apps, CMS systems, SRM systems and lot more. It offers you sites with easiest functions, methods, and language syntax. It supports relational database management system as well as other open source databases which reduces your overall web and app development costs. It is one of the most compatible open source software integration. It integrates well with Drupal, Joomla, osCommerce, and the likes. You ask for code and our team offers you with most dynamic and responsive cross-platform web application solutions and services. Whether you need a minor customization or a major face-lift or it is an entirely new portal which requires building from the scratch that you're looking for, you can always feel confident to hire programmers from our organization as they will not just work most dedicatedly but will also offer you with best solutions and satisfactory after sales support in most cost effective pricing and quicker turnaround time.